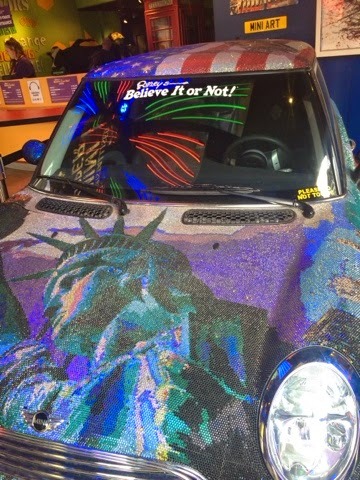 We were super excited to visit Ripley's believe It Or Not in London's Piccadilly Circus. 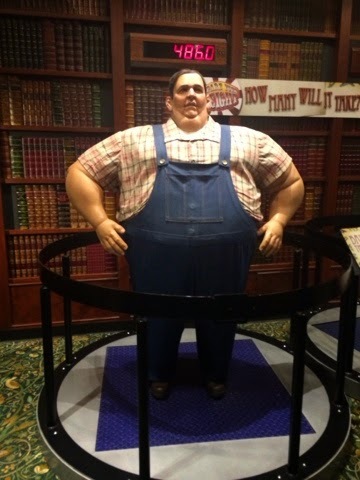 Ripley's believe it or Not is home to an amazing 700 interactive exhibits located over six floors and it is most defiantly the most extraordinary place you will ever visit. With an amazing collection of stunning artifacts from across the globe, many of which were collected by the explorer Robert Ripley himself. 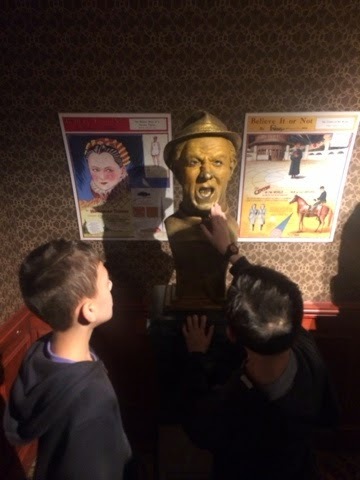 We had heard so many amazing things about Ripley's we really couldn't wait to get into the weird magical world of Ripley's Believe It Or Not. 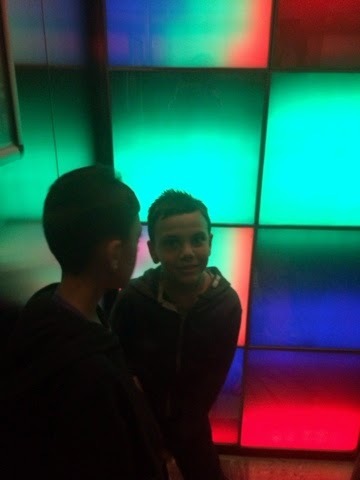 As we headed into the foyer, we could feel the buzz and excitement in the air, We were greeted by a huge transformer and cool crystallised mini from that moment on, we were in anticipation and couldn't wait to continue our adventure. The amazing journey of all that's weird and wonderful starts on the filth floor and as you work your way through each level you will be amazed at the stunning and strange interactive exhibits on display, We were in awe and what we saw, fascinated and excited by the cool exhibits which were beyond our wildest imagination. 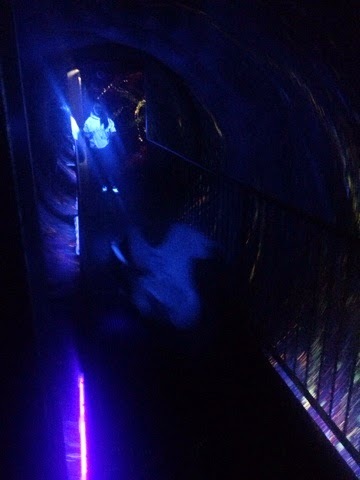 Each cool gallery had something strange and unique to offer, We read some amazing facts and were astounded at what we saw. With so much to see and do we spent hours exploring the galleries. 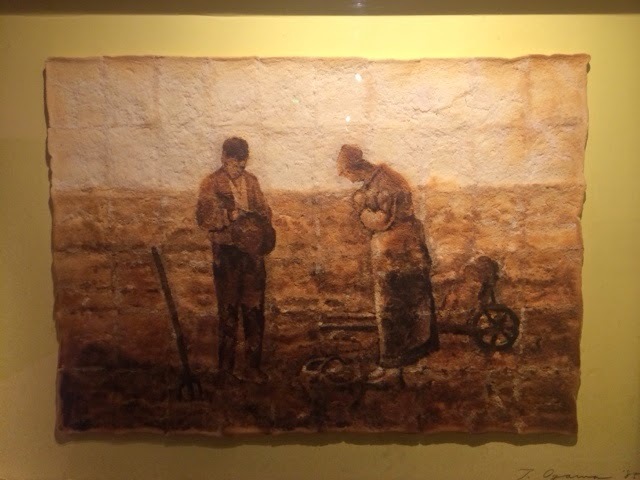 From a cool knitted life size Ferrari to portraits made of toast and sweets, There really is something for everyone at Ripley's London, and you really won't believe what you are seeing. 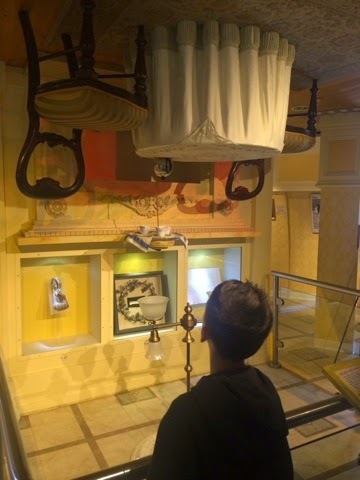 To give you a taster of what you can expect I have added a short clip of Ripley's Believe It Or not. 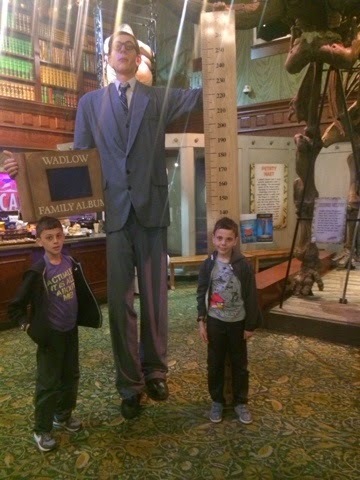 Half way through our amazing journey we stopped for a hot chocolate in the cool cafe which is home to the worlds tallest man as well as world heaviest man, It was an surreal sight as we sat and regained our energy for the adventure that awaited us. 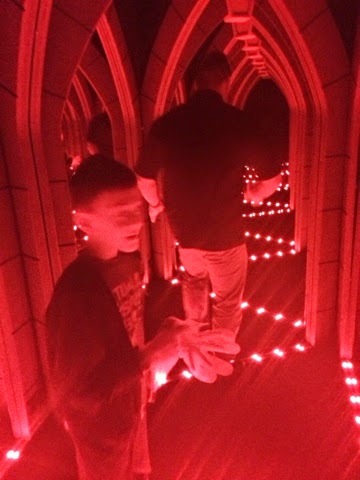 The boys absolutely loved every single minute of our day, I can't tell you how many times my boys made me walk through the Spinning Tunnel as well as making me roll around the floor and dodge the laser beams in Impossible Laserace. 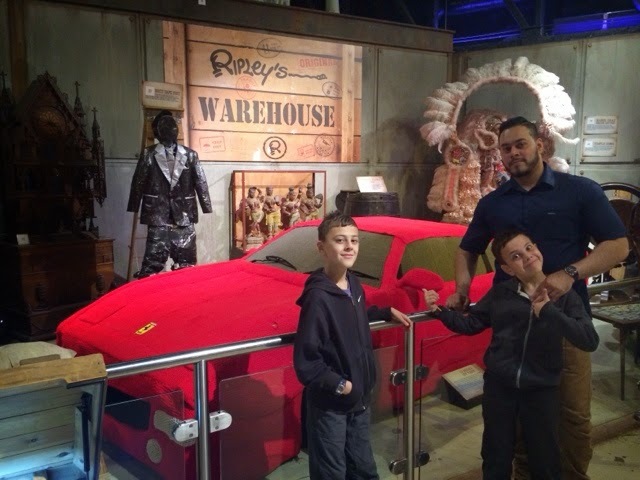 Our trip has left us with so many amazing memories, We really can't wait to visit Ripley's again. 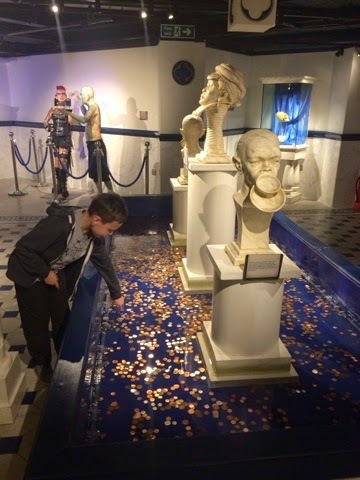 Ripley's London has to be experienced to be believed. A jam packed day of the weird and wonderful. I have never been so fascinated and amazed. An exciting adventure for the whole family.